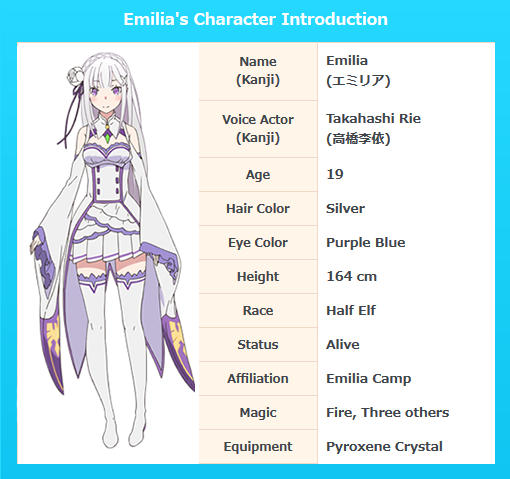 Emilia is a beautiful Half Elf with long silver hair and purple blue eyes. 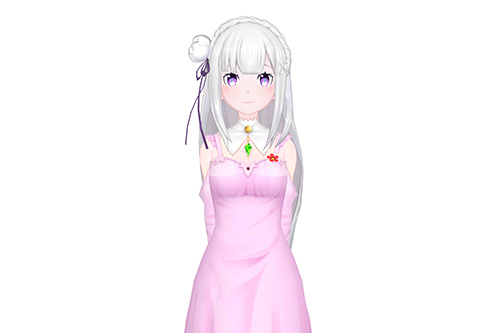 She wears a white and purple outfit along with a white flower in her hair. Throughout the series, she has styled her hair in a variety of ways. 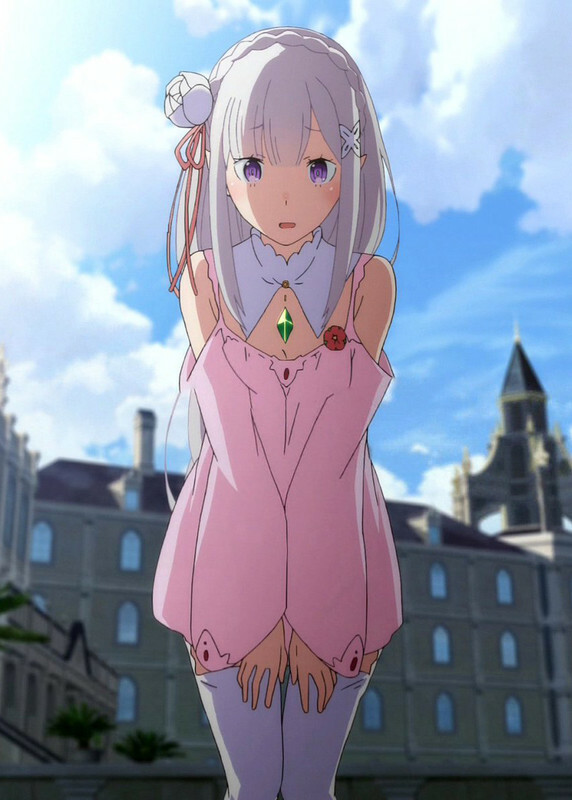 When Emilia still lived in Elior Forest ad was younger, she had a different set of clothes, with the same color pattern. 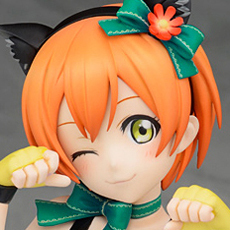 She had a light green ribbon instead of her necklace, a different flower in her hair, and a hairband in her hair.